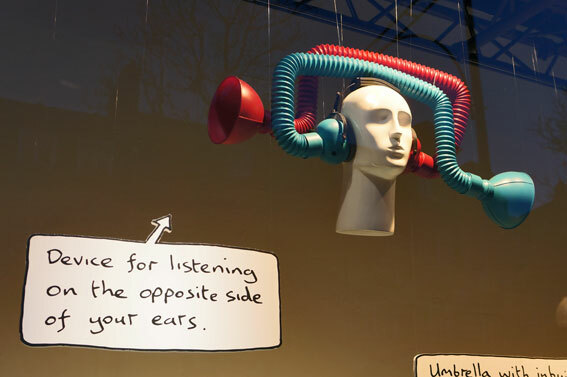 Window design by artist Dominic Wilcox. ‘Variations on Normal’ displays imaginary products designed especially for the Festival of Imagination. 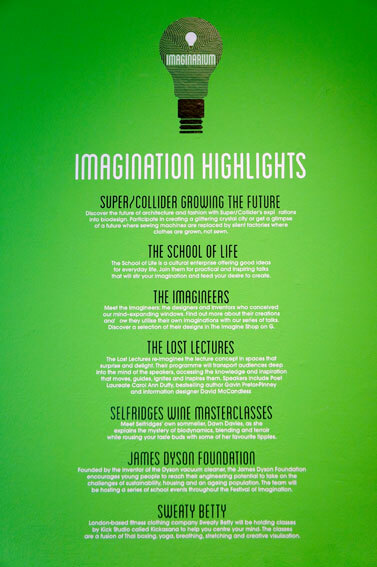 Selfridges Festival of Imaginarium is yet another curated event in a major retail store in London. Recently there has been several others starting with the Habitat Platform which was probably the first one, now also followed by Heal’s Modern Craft Market. They are good examples how brick’n mortar stores can compete against the increasing threat of the growing online business. Selfridges event series is exceptional because it runs a longer period of time, almost two months. 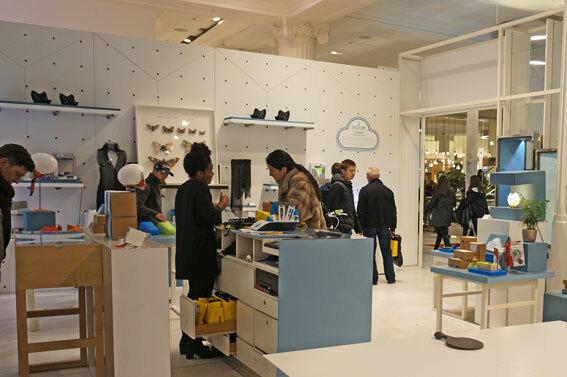 This is not about a simple, curated pop-up shop in the store, instead both Habitat and Selfridges have now a dedicated space to organise exhibitions, events and talks. It is not a small investment either for Selfridges as the famous architect company OMA has designed a temporary auditorium that hosts a series of talks and workshops. 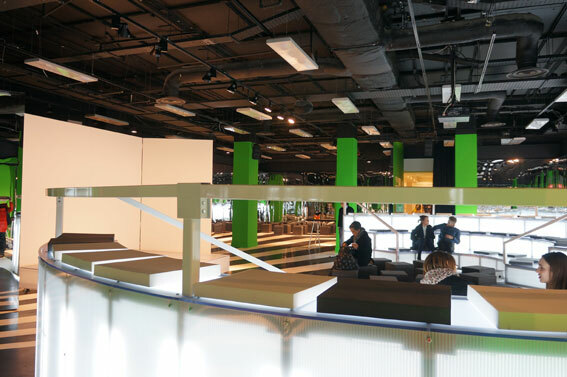 OMA has also designed the special furniture for the space. The Imagine Shop has been set up within the dedicated area for specially curated products. All pioneering items reflect the futuristic theme including 3D printed products, electric bike, electronics, watches etc. You can buy most of them online as well. The meaning behind brick’n mortar retail is changing from simple and straightforward buying towards collecting experiences, social gathering, entertainment, and even education. It is good to see the competition between different brands of how they answer to the challenge.